The peak of Black Mountain is easily accessible via 4x4 vehicle, although the view from the peak is not great. Numerous other vistas that look into both VA and KY are accessible by foot (typically off-trail hiking). Multiple trails, 4x4 roads, and ex-mining roads are on Black Mountain, most of which travel from the base to top. Access to most trails is easy from multiple towns in both VA and KY.
No state or federally maintained campsites exist on Black Mountain, however, one is virtually free to camp just about anywhere as long as you are not near active mine sites. Numerous local towns with accommodations exist within a 30 minute drive of the summit. 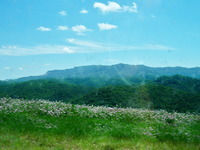 Big Stone Gap, VA has multiple hotels, restaurants, groceries, gas stations, and one campground with full RV hookups. Benham, KY has the historic "Schoolhouse Inn" (room reservations are typically required), Lynch, KY has a campground with full RV hookups, and Cumberland, KY has one grocery store, a few restaurants, two gas stations, and no hotels. Winter hikes on Black Mountain are my favorite as it is often the only place in KY with snow. 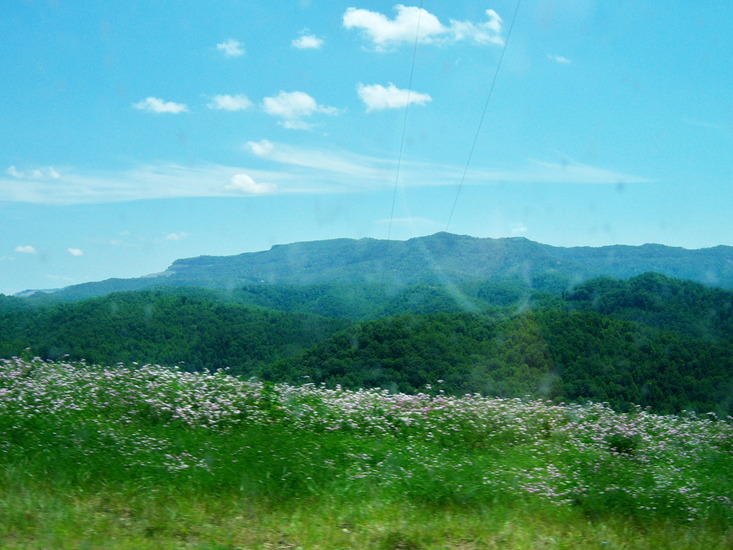 Nearby High Knob on Powell Mountain near Big Stone Gap and Norton, VA is the next closest high point (approx. 4500 ft.). Use this relief map to navigate to mountain peaks in the area of Black Mountain (Kentucky).